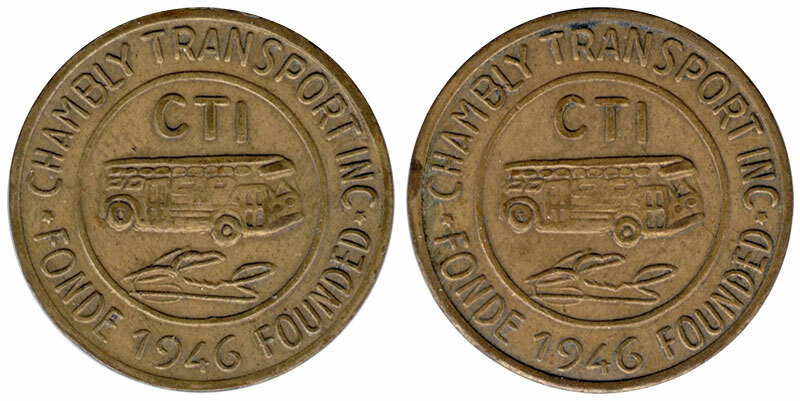 These tokens was used to pay for bus transportation the Victoria Bridge to the company Autobus C.E. Senecal & Gerard Beauvais from du April 26, 1946 to July 1st, 1974. In 1974, the transit company was bought by the Commission de transport de la Rive-Sud de Montr�al. The first matrix, instead of Chambly, it was written Chamely. This is why there are several varieties of this coin.